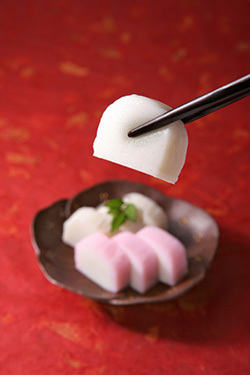 Japanease traditional food " kamaboko "
The first time kamaboko products appeared in Japanease literature is 1115. At the time, it was in a shape similar to chikuwa (a surimi seafood in the shape of athick tube), but after a few hundread years, kamaboko loaf on a wooden plate, which is the shape today, came about. 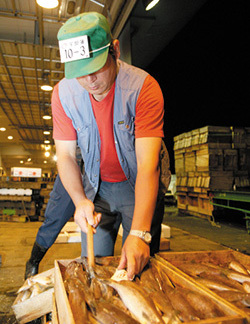 Subsequently, various kamaboko products utilizing "local fish" by region were produced all around Japan. Then finaly, the frozen surimi technology was established, and it had arevolutionary effect on kamaboko industry. With this, kamaboko spread all around the world, and the word KAMABOKO became part of the international language. 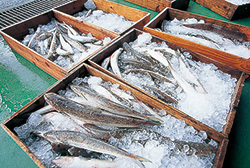 By removing the bones and skin from the fish,it is soaked in water, and minced with salt. Then, the protein starts to dissolve and mesh together. Once it is heated and finished, the meshed structure becomes storonger and gives it the elastic texture. In adittion, the species of raw material surimi are as shown in table below. Different fish are used according to the kamaboko product. A factory of experts. 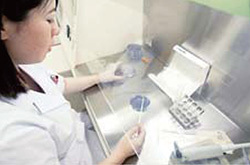 Five techniques used in kamaboko production. UBE KAMA's kamaboko production method uses a traditional indirect grilling technique called "Yakinuki". Through using this traditional technique, our experts honed their methods, and the various cooking techniques (grilling, steaming, boiling and frying) improved even more. 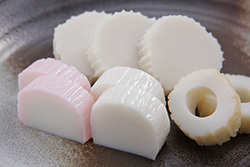 Kamaboko, even though it's made from fish, is more flexible than fish, and can be used and served in many ways. UBE KAMA continues to push boundaries and make forays into the unexplored to further improve the production techniques of our kamaboko. Ube Kama’s traditional strength is in the creation of new, delicious and fun tastes. Fish - a bountiful blessing from the ocean. 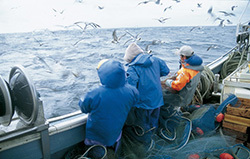 We do our best to preserve the just-caught freshness, and to transform the life of the ocean into vivid flavor. 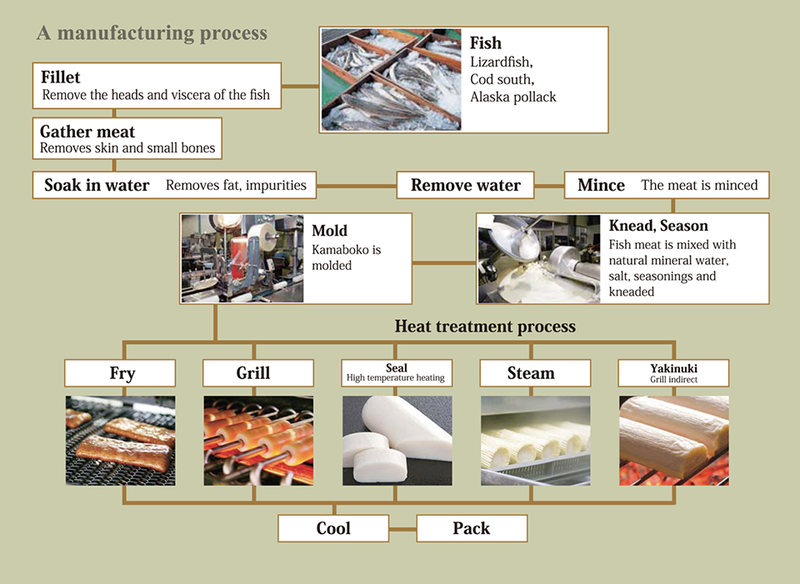 Kamaboko's flavor is dependent on the fish used. Ube Kama's uncompromising method of selection is part of its tradition. Filleting, mashing, forming, grilling, steaming, frying and boiling. 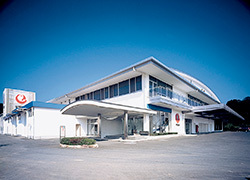 Our factory uses all these techniques, and is an energetic factory filled with passionate people, and has strict safety and reliability standards. We want to deal directly with our customers, so we produce and sell our products ourselves. Seeing the smiling faces of our customers' makes all our efforts worthwhile. To continue Ube Kama’s tradition we also need to listen tour customers and aim for further creativity and innovation.